What does a Blood Thirsty Vampire with a Cold, Knit? This past week, I haven't been feeling too good. On top of the normal things, I've had inner and outer ear infections in both ears, conjunctivitis in both eyes and a heavy cold. In all honest truth, I looked like I had staggered off the set of a horror film. When one is attired like a blood-thirsty vampire with a cold, one must knit like a blood-thirsty vampire with a cold. And what does a hungry vampire knit? It would probably knit this. 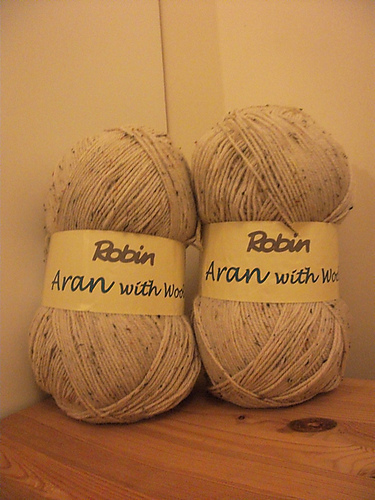 Near the end of September my Nan gave me two child-size skeins of Aran yarn. I decided to knit myself a big, squishy, garter stitch blanket. Something I could knit when I was having a bad day with my M.E (as when I have a bad day, I can't knit. I just mess it all up! ), and also something to work at while watching TV. Just over 4 months later, and here we are. I've managed to knit my way through a whole child-size skein (875yds/800m) and am onto my second skein. It is measuring 90cm width wise (but I do believe it will be longer when taken off the needles, as it is all squished on there as of present) and 95cm length wise. I'm planning on making it big. Something to keep us toasty and warm in the winter. Hopefully I'll finish it before summer, because I don't think I'll be able to cope with knitting it, I'll get far too hot!! So, now I no longer look and feel like a blood thirsty vampire with a cold, I can move onto bigger and better knits. Perhaps Reversible Beanie Hat II may appear this time next week... who knows! For the meantime, head on over to Tami's where she is knitting some beautiful socks! I love those giant 800m balls, I'm making my Shalom out of one at the moment ;) It does take a bit more wrangling than regular size balls though! I tried to knit a garter stitch blanket once and it nearly destroyed me lol. Needless to say I frogged it. Hope you feel better... blanket looks great. feel better soon! I have that same wool which i am using to make myself a sleeveless jumper, its lovely to work with! The phrase "child-size skein of yarn" really should become the formal description for that much yarn. I love that you decided to make a blanket with it, I'm not sure what I would have done with it. Looks like a lovely warm blankie! Our winter here in Seattle is by far not over--very cool, damp and rainy after a very lovely dry/warm 6 day streak. Looks like a lovely blanket to snuggle up in!